Discussion in 'Operating Systems' started by Joe Average, Jun 16, 2009. I just read on Wikipedia it is set for July. We're only 4 months out from public release so the RTM will be pretty HAVE to be done in the next 4 weeks no matter what. This is really down to the wire time for Windows 7 folks. When it goes RTM, is it then available on Technet or is there a delay? There will be a delay. It won't go up on MSDN/TechNet untill it is very close to being released in retail channels if not at the same time as the retail release. I can't recall for Vista RTM, but look at SP1 and SP2. The RTMs leaked long before they were legitimately available on MSDN ect. I'm "as tired" of the speculation about what version is RTM as Microsoft is "as tired' of the leaks. Well..it keeps the kids off of the streets with skin pale as a mushroom...cuz they're home formatting/reinstalling their computers AGAIN due to some latest leak. Not much of one I would think. Vista RTM came out on MSDN/TechNet around November 15, 2006 which was a full two months before retail release so I would expect to see 7 RTM on MSDN/TechNet sometime towards the end of August. I could see that. I do however also see it leaking around the end of June or start of July. It probably will leak before too long but I'm not going to worry about any more Windows 7 leaks. 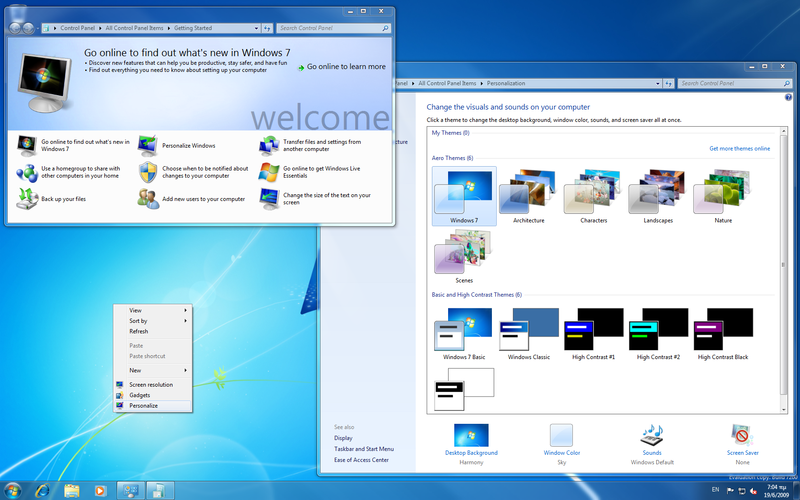 The next Windows 7 install will be with the official RTM. i liked the beta. but the RC is just a less stable version of vista with some glitz. From what I know it will be BUILT this week, but not signed off 'til the 26th. So we could get the build that will be RTM this week, but it wont be labeled RTM until the 26th. We have seen this stuff before with leaks of service packs ect. Once the RTM is released and leaked, if you install it, it will still require your evaluation key, correct? If so, theres really no point as that would also expire at some point and require a reformat with a retail copy? all of the leaks have originated from Redmond, Washington.... nuff said! So far I am happy with it, but again I reformat and re-install all the time, I have it down to an art form almost. Just installed W7 this evening and I am so far impressed. Let's just keep our eyes open, let Microsoft and OEM's get the drivers working, and compatability smoothed out, and test test test test and hopefully fox news doesn't report that Windows 7 is utter crap or Microsoft might go postal. RTM = the real deal, the final finished product (or as finished as they think it needs to be), what will be on OEM machines come October 22nd or slightly before and also what's going to be in the boxes on store shelves, so no, your beta/RC keys will no longer be of any use to you. Will rearming still work on Win7? That wasn't an issue for me for the first 30 days of my Win7 RC install. According to MSDN/Technet news to subscribers reserved, it seems RTM will be out on 26th of this month, so let's stay tuned. I find it highly unlikely it will be on Technet/MSDN before October. The only reason Vista was released in November is because that was the same time it was released to Corporate sales. He typed the word as: 'fix.' - We are to infer that this is a hack. You typed, 'hack.' - What are we to infer from this? - That there is something that differentiates this hack from another? RTM builds never appear on TechNet or even MSDN before it goes into general availability, at least not in the past. I don't think Microsoft wants the actual RTM code so readily available (and having it on TechNet or MSDN would just mean it's everywhere an hour later and we all know it, even faster than a leak would spread), so... TechNet or MSDN come November maybe... but this month, or even July or August or September? What all do you get with a TechNet subscription and how much does it cost? $349 a year, but you can find discount coupons either for $299 or less, or a percentage off the full price (usually 10-15%), and sometimes Microsoft gets generous and offers up subscriptions for $99. But, you get access to every piece of software they produce, basically, with "lifetime" keys (up to 10 per product, if required). The issue is that you're supposed to be using the products you acquire through TechNet only for personal education and learning, or specifically related tasks in the I.T. field - it's not supposed to be a way to get 10 keys for Vista or Windows 7 or Office 2007 and give 'em out to friends, family, etc. Vista was RTM on 11/8/2006. Vista was released to businesses on 11/30/2006. Vista was released to the public on 1/30/2007. If 7 follows this trend I'd say you are very, very wrong. My thoughts.....if 7 RTMs in June we'll see it released on Technet/MSDN in July. Up to 7263 and only one day left. Hopefully there'll only be one or two more builds till the final RTM built. Interesting. I hope you're right. You're confusing the work 'hack' with the word 'crack'; don't worry, it's an all-too-common mistake. A 'hack' is legit, a 'crack' is not.